The Fund For The Tiger is based on the conviction that it would be unconscionable to allow the tiger to disappear from the forests and jungles of Asia. The tiger is on the verge of extinction and international awareness, concern, and resources must be mobilized. 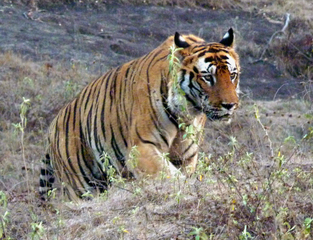 No animal has been graced with a greater aura of power and majesty, both in myth and reality, than the tiger. Ironically it is this prodigious mantle of respect which is threatening to lead it down an immutable path to extinction. There are many long-range problems facing the tiger and other endangered species such as economic development, population pressure, loss of habitat and prey species, and the lack of political will in tiger habitat countries. The most immediate threat to the tiger, however, is the slaughter of these animals to satisfy the market for traditional Asian medicinal products and customs. Centuries of beliefs and customs empowered by myth die hard, but it is our belief that if the tiger is left in peace, with a reasonable amount of protected habitat, it will indeed survive as the most powerful and vibrant animal to ever grace the forests and jungles of Asia. The scope of the Fund For The Tiger will be to concentrate on those areas of Asia where effective work is being done; where the tiger will have a reasonable chance for survival; and to maintaining a public level of awareness of the magnitude of this problem.